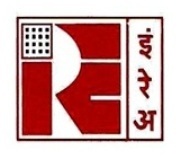 Indian Rare Earths Limited is a Mini Ratna Public Sector Company which is administered under the ministry of Atomic Energy. The corporate office of the company is located at Mumbai and it has four operational units in various regions of the country. At first this company is established in the intention of extracting Monazite sand for commercial purposes, later it is expanded to extract heavy minerals. The extracted minerals are exported to various countries and used for domestic purpose. These sales process includes several marketing strategies, which are look after by the Marketing Officers. Recently a job advertisement is released by IREL to engage deserving professionals in the discipline of Marketing Manager. Applications are invited for the same by IREL in a prescribed format before the closing date for the receipt of application form. Candidates must be obtained full time degree in the B.E/B.Tech or B.Sc or M.Tech in Geo-exploration/ Geo-Science course from recognized institutions. Along with this two years PG Management qualification (MBA) is essential. For the post of Manager, 12 years post qualification experience is required and for the post of Officer one year field experience is required. For the post of Officer Vacancy the upper age limit is 35 years and for the other vacancy max 45 years as on 12 Feb 2013 is eligible to apply. Applicants will be shortlisted according to their qualification and previous experience, then they will be called for selection Interview. The monthly salary for Manager post range from Rs.32900-58000/- according to the E5 Grade and for the other post it ranges from Rs.16400-40500/- as per E1 Grade. Fill the application form in a prescribed format with required details and affix a photo over it. Attach the self attested copies of necessary certificates and documents along with the application and send this to the address "GM (HRM), Indian Rare Earths Limited, Plot No. 1207, Veer Savarkar Marg, Near Siddhi Vinayak Temple, Prabhadevi, Mumbai–400028" address on or before the last date. Note: Don't forget to super scribe over the envelope as "Application for the post of ________". 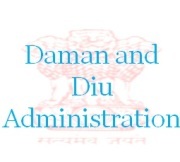 Daman and Diu is on among the seven union territories of India, which is administered by an IAS Officer. It is a small region of the country with two constitutes and two districts. Before the independence Daman is ruled by Portuguese invaders, it is later recovered and entailed with Republic India during the year 1961. The Daman administration is responsible to maintain law and order over the territory, this is only possible with huge number of police force. This makes Daman administration to recruit police personnel’s, as a reason it issued a notice that states the recruitment of Police Constable. Applications are invited from physically fit candidates in a prescribed format to fill the vacant positions in the police department. The basic qualification for this vacancy is HSC or equivalent from a recognized board. However, candidates having driving license with two years experience, Diploma in ITI or HSC with 3 months diploma course in computer science are the desirable qualifications along with the basic qualification. Any individuals between 18 to 25 years of age with good physical standards can apply for this police job in Daman. Relaxation in age is applicable for reserved candidates who belong to SC/ST and OBC category. Selection of applicants will be done by several processes, at first they will be shortlisted and invited for physical test. In physical interview, the Physical Efficiency and Physical Standards will be measured. If you passed this test, you will further called for written test on the below mentioned date. Selected candidates will be placed as police constable after training with the pay of Rs.5200-20200/- along with the grade pay of Rs.2000/- per month. Applications forms are available in the official website, download these forms and fill it with necessary details and affix the photo in the appropriate location over the form. Attach the attested copies of all required certificates and documents along with the application. Send this in an envelope to the address "Inspector General of Police, Police Head Quarters, Opp. Coast Guard Air Station, Dunetha, Nani Daman-396210" by person or by post on or before the last date. 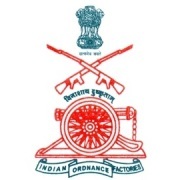 Ordnance Factory is an Industry which is implemented to manufacture ammunition products for Indian Army. It functions under the ministry of defence and organised by the Ordnance Factories Board. The OFB controls over 40 Ordnance Factories where the Medak Factory is one among them. Working in a central government is a dream and ambition to many job seekers. But, job seekers with less qualification like Matriculation get very little chance to get a job in central government departments. Here it is an opportunity for those category candidates to strong their positions in a well established industry. Ordnance Factory Medak issued a notification to engage semi skilled labourers in Group C cadre by conducting written test and interview. Online applications are invited from eligible candidates in an advised format to fill the vacant positions. Candidates who passed Matriculation (10th) or any other qualification equivalent to that you are eligible to apply for the Semi Skilled Vacancy in Ordnance Factory. Any individuals who are between 18 to 32 years of age satisfy the age criteria. However, relaxation in age will be given to candidates who belong to SC/ST, OBC and Ex-Servicemen category. The period of relaxation is mentioned in the official notification. The recruitment process will be conducted under several phases. At first the eligible candidates will be shortlisted and invited for written exam. By evaluating the performance in the written test you will be further called for trade test and personal interview. The written exam will be conducted for 2 hours which comprise 100 marks objective type questiions. According to the notification candidates will be placed in Group 'C' cadre with pay band one salary. The pay band one pay between Rs.5200-20200/- per month along with the grade pay of Rs.1800/-. Moreover, many benefits and allowances will be given to the employees as per advised rules. An application fee of Rs.50/- has to be paid by means of Demand Draft drawn in favor of The General Manager, Ordnance Factory, Yeddumailaram, Medak. Reserved category candidates like SC/ST, PWD and Ex-servicemen are exempted from application fees. Log on to the official website www.ofmedak.gov.in and select the link 'Recruitment' from the left menu bar. Choose the right online application from the list provided and fill all the details which are entailed in the application. Once you filled all the details verify and submit the form. In the next step you will get a system generated copy of the application. Download and take a printout of that. Affix the passport size photo in the printed application. Attach the attested copies of all certificates and documents which are necessary. Enclose the DD, Application and the certificate copies in an envelope and send to the address "The General Manager, Ordnance Factory, Yeddumailaram, MEDAK DIST, Andhra Pradesh-502205". The envelope should reach the address before the closing date below mentioned. Nhava Sheva which is officially known to be Jawaharlal Nehru Port Trust is one of the largest ports in India that is located in Navi Mumbai. 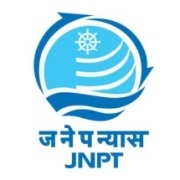 The JNPT involved in the operation of handling importing and exporting goods in container. Jawaharlal Nehru Port Trust issued a recruitment notification for hiring employees on contract basis with consolidated salary for the term of 36 months. This is the better opportunity for job seekers from Mumbai who holds a diploma qualification in the discipline of civil engineering. The notification indicates limited number of vacancies; this makes a tough competition in the recruitment process. Aspirants who think that they deserve to get this job can apply in the prescribed format as mentioned in the official notification. Applicants who are desired to get the Superintendent Job must possess a Degree (B.E/B.Tech) or equivalent in Civil Engineering and for the Junior Engineer vacancy you must qualify a Diploma in Civil Engineering from a recognized institution. The maximum age limit for the Superintendent Post is 30 years and for the Junior Engineer Post the upper age limit is 25 years. The age will be considered as on 15th Dec 2013. Relaxation in age will be applicable for reserved category candidates as per rules. Initial screenings will takes place for short listing candidates, according to that eligible applicant will further called for written test and interview. The total monthly consolidated remuneration for the post of Superintendent is Rs.50470/- and for the other vacancy Rs.27228/- per month including all allowances. If the employee accommodated in the departmental quarters he will get salary after reducing the HRA from the above said figure. Interested candidates may download the application format from the official website and fill it with mandatory details. Affix the photo in the appropriate place and duly sign the application. Enclose this application and attested copies of all certificates in an envelope. Super scribe over the envelope as "Application for the post of _________" and send to the address "Senior Manager (P&IR), Jawaharlal Nehru Port Trust, Administration Building, Sheva, NAVI MUMBAI-400707" before the closing date. As everyone knows that CSIR is the scientific research institute of India. It has many research labs for various researches in different regions. 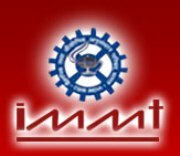 Institute of Minerals and Materials Technology is one the premier research labs of CSIR which is located at Bhubaneswar. It has undertaken many research projects in the area of Mineral Processing, Biotechnology, Metallurgy and more. This makes IMMT to prove a steady growth in research and development. To maintain this growth and to implement new projects IMMT in need to hire research scholars and scientists at various disciplines. As a reason IMMT issued a job notification to recruit candidates in the discipline of Scientist fellow in CSIR. Applications are invited from deserving candidates who possess engineering qualification in relevant field. Disciplines in which Recruitment takes place? The notification consists of vacancies in different ranges from R-0 to R-4, according to the range the qualification differs. The desired qualifications for the job in CSIR-IMMT are B.E or B.Tech, M.E or M.Tech and PhD with 80% marks in the above said discipline from a recognized university. As a fresher with UG Engineering degree you can apply for R-0 range vacancies and for other posts the applicants must possess a minimum of 5 to 10 years experience. The upper age limit for the posts differ from 25 to 45 years as on 7th Feb 2013. The difference in age lies according to the post which you are applying for. Applicants will be shortlisted according the experience and qualifications, further you will be invited for personal interview. According to the designation range the salary differs from Rs.25000-72000/- per month. Interested aspirants may download the application form from the official notification below. Fill the application with personal details, academic profile and attach the passport size photo. Along with application form attach the attested copies of certificates and send this to “The Section Officer-E-I, CSIR-Institute of Minerals and Materials Technology, Bhubaneswar-751013” address before the closing date. Everyone knows that Chennai is one of the largest metropolitan cities in India. The consistent growth of population in the city makes the rush in transportation. To overcome this problem and to make the city for international standards, the Government of Tamil Nadu along with the central Government of India introduced the metro train project. Currently the project is under phase one construction; this intends Chennai Metro Rail Limited to recruit huge number of employees in various designations. It has issued a career notification that reports 719 vacant positions in the discipline of Junior Engineer and Technician. As a job seeker, if you hold a Diploma or ITI qualification in engineering disciplines you can apply online for these jobs in Chennai metro railway. The selection process, age limit and other eligibility criteria are mentioned in the notification. For the post code one and two candidates have to completed diploma in relevant field with 60% marks and for the post code three candidates must be an SSLC passed ITI technician with 55% marks, where the certificate must be obtained from a recognized NCVT Training Institute. Upto Which Age you can Apply? As an applicant if you are not more than 28 years of age as on 1st Jan 2013 with any one of the above said qualification you are eligible to apply. How you will be Selected? Applied aspirants will be invited for written exam. By evaluating the marks obtained in the written test you will be further invited for personal interview. All candidates has to pay Rs.500/- and SC/ST applicants Rs.100/- by means of Demand Draft drawn in favour of M/s Chennai Metro Rail Limited, payable at Chennai. Remember to write the application number and full address of the candidate including mobile number on the backside of the DD. Candidates who are willing to apply log on to the official address http://www.chennaimetrorail.gov.in. Click on the link “Career” and then click the icon “APPLY ONLINE”. Fill all required details in the online application form. Verify all the entered details are correct and submit the application. After submission you will get a system generated printable copy of application. Collect the attested copies of all necessary documents and certificates. Enclose these application, certificate copies and Demand Draft in an envelope. 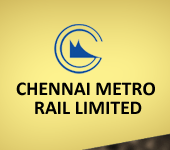 Send this by post to the address "Manager (HR), Chennai Metro Rail Limited, Harini Towers, No. 7, Conran Smith Road, Gopalpuram, Chennai – 600086" on or before the last date. Kerala State Electronics Development Corporation Limited is a State owned public sector Company which is involved in delivering Electronics and IT based services and products. It is a premier organisation in its sector which contributes in the production consumer electronics goods. It serves for major central government organisation like ISRO by producing quality electronic components for them. Recently it issued a recruitment notification in order to compensate the manpower scarcity while comparing to its growth. It invites online application from experienced professionals as well as fresh graduates with good academic profile to engage them in the posts of engineering and assistants. Interested candidates can apply online for this vacancy. Job Location Kerala "Jobs in Kerala"
The above mentioned all vacancies requires academic qualification in courses which is relevant to the designation. 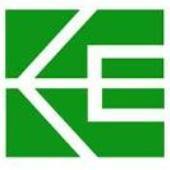 For the Technical Assistant job in Trivandrum Keltron the required qualification is Diploma and for Operator/Technician vacancy the eligible education is ITI in relevant field. For the designations in the top of the list requires qualified candidates in B.E or B.Tech, MBA, MCA, LLB. You are advised to go through the official notification mentioned in the below link for detailed clarification. The upper age limit to applying for these posts is 40 years, as on 1st Jan 2013. Age relaxation is available for OBC, SC/ST category candidates. However, they have to submit the age reservation certificate along with the application for getting benefited by age limits. Applied candidates will receive a admit card for written exam, passing in the written exam makes the chance to appear for personal interview. If you obtained any previous experience it will also be considered as credit. On analyzing all the performance and academic credits the final selection will be done. Interested candidates may apply online for interview. Log on to the official website www.keltron.org and follow the online registration link. Fill the online application with necessary details. Submit the application and take a note on registration ID or take of printout copy of the system generated application. 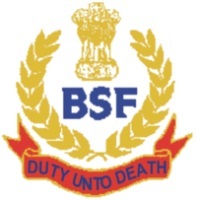 Border Security Force is a paramilitary force which is established to guard and prevent trans border crime. This force is administrated under the ministry of Home Affairs. It has huge number of manpower to maintain the security over the international borders of the country. Along with the emerging growth in technology the armed forces also improving their technologies and communication standards. As a reason, the Communication and IT Directorate Wing of BSF issued a recruitment notification to engage best candidates in the designation of Head Constable at Radio Operations department. Any individuals with a minimum of matriculation qualification along with an industrial training in relevant discipline which suits the job profile can apply in the prescribed format as mentioned in the notification. The notification is mentioned only for candidates who belong to OBC or SC/ST category. The recruitment is in the designation of Head Constable (Radio Operator) vacancy which consists of 430 vacant positions. Category wise reservation and availability of positions are mentioned in the image below. As a aspirant, if you interested to get this job, you must possess Matriculation (10th, +2) or equivalent with two years Industrial Training (ITI) in Radio and TV or Electronics course. Otherwise you must completed HSC (12th) with Maths, Physics and Chemistry as major subjects in the course. All these qualification must be obtained from a recognised board of education. The minimum age to apply for this Head Constable Recruitment is not below 18 years. SC/ST candidates apply till 30 years of age and for OBC the upper age limit is 28 years. The age limit will be taken into consideration as on 28th Feb 2013 which is the last date to submit application. Selection Process will be carried out by two phases. After all applications are scrutinized the applicants will be invited for written test in the regions which they applied. This will be considered as phase one, candidates who else passed in the written test further invited for second phase of BSF Constable recruitment process. In this phase you will undergo Physical Standard Test, Efficiency Test, Dictation, Verification of certificates, Medical Test and Personal Interview. On considering the performance in these to recruitment phases the selection will be carried out. OBC applicants need to pay Rs.50/- as a exam fee in the form of IPO or Demand Draft drawn in favour of "The Inspector General/ DIG of _______" of particular region for where you are applying and that has to be payable at respective SBI bank branch or Post office. SC/ST candidates are exempted from paying exam fee. Interested candidates may download the application from the official notification and fill it with necessary details. Get all the certificates attested by a Gazetted officer. Enclose the application, certificate copies, fee payment DD or IPO and two self addressed envelopes of Rs.27/- stamp in an envelope and send it to the address of the particular centers on or before the last date. Don't forget to super scribe over the envelope as “Application for the post of HC (RO)"
In today's scenario every job seekers looking forward to get a job in well established organisation. This is because of the high paid emoluments, social status, job satisfaction and security. One of the best choices of fresh aspirants to get job with above said features is, none other than the banking sector. Every year thousands of vacancies are notified in all nationalized banks and millions of candidates appearing for these exams, but less number of aspirants getting into the industry. Among all the bank recruitment SBI notification is much awaited by all aspirants who are preparing for these exams. Because, State Bank of India is the prestigious financial organisation, which is well established and plays a vital role in Indian Economy. All these make this recruitment notification by SBI as a dream opportunity for all job seekers. As per notification, State Bank of India is going to fill 1544 vacant positions in Probationary Officer designation. Online applications are invited by SBI from eligible candidates who possess a degree with good academic profile. Individuals who are interested to apply for this Probationary Officer vacancy in SBI, follow the below mentioned advise and application format mentioned in the official notification. The total vacancies for the probationary officer post are around 1544. The vacant positions for person with disabilities are reserved horizontally. These are indicative positions; it may vary according to the requirements of Bank. What are the Requirements to Get this Job? To apply for this PO exam you must hold a degree in any discipline or any equivalent qualification from a recognised University or institution. You must not be less than 21 years and not more than 30 years of age. It can be clearly mention that, you have been born not before 2nd Jan 2013 and not later than 1st January 2013. Relaxation in age limit is applicable reserved category candidates as 3 years for OBC and 5 years for SC/ST. Other candidates including Ex-Servicemen and Person with disabilities also deserve age relaxation. What you will get as a Probationary Officer in SBI? As a probationary officer during the probation period of two years you will get paid according to the Junior Management Grade I Officer Pay Scale of Rs.16900/- per month. From there with four increments at the end of probation period the monthly salary will be Rs.25700/- Pm. Moreover, the employee will be eligible for DA, HRA and CCA which are applicable as per rules. Other allowances and benefits like medical insurance, transportation, house rent, provident fund and pension are available to employee. After two years of training, if the candidate is placed as an officer in the city like Mumbai he will get Rs.69000/- per month including all perks and emoluments. Selection Process and Application Procedure for SBI PO? Applied candidates will be invited for a written exam which comprises 250 marks. Applicants who are passed in the written exam will be further invited for group discussion and personal interview. On calculating the marks obtained in both phase of exams the final selection will be carried out. An application fee of Rs.200/- has to be paid using fee payment Challan in any SBI branch or using net banking service. Reserved category candidates are required to pay Rs.50/- only. Before staring registration the applicants must have the scanned copy of color photograph and signature in the image format. Then log on to the official website www.sbi.co.in and start registration with necessary details once the first step is over you have to pay the exam fee by using net banking or by using system generated fee payment Challan. Then enter the fee payment reference or Challan number and complete the registration process. Finally take a printout of the system application form for future reference. Power Grid Corporation of India Limited is a power transmission company involved in the operations of transmitting electricity all over the country using grid connections. It is a public sector company which is establishing its operations in various regions. Due to the extension of its project, it is in need of human resource to handle its operations. It is going to establish a new transmission consultancy service in the state of Jharkhand. For this project in invites application from fresh and energetic candidates who possess diploma degree in the field of electrical for fill 44 vacancies as field supervisors in PGCIL. The selection is on contract basics for the period of two years. Interested candidates can apply in prescribed format as advised below. There are 44 vacancies in two disciplines. Each post deserves different qualification that suits that job requirement. The age limit for general category candidates are as mentioned above. However, relaxation in age and qualification will be applicable for reserved category candidates as 5 years for SC/ST and 3 years for OBC. Pass mark in academics qualifies the SC/ST candidate’s eligibility and for all others remains as mentioned in the notification. According to academic qualifications candidates are shortlisted and invited for Interview. The performance in the interview or Screening test will make your chance to get selected. As a Field supervisor in PGCIL the employees will get a consolidated pay of Rs.23000/- per month in the first year of contract and gets Rs.25000/- during the following year. An application fee of Rs.100/- has to be paid by the candidate in the form of Demand Draft which must be drawn from any SBI branch in favor of “Power Grid Corporation of India Limited” payable at Patna. Reserved category candidates are exempted from application fee. Get application form from the official notification and fill it with mandatory details. Attach all the attested copies of certificates and documents whichever necessary. Affix the passport size photo in the appropriate space of the application form and make a signature on the application. Sort all these documents in ordered manner and enclose in an envelope. Super scribe over the envelope as “Application for post code___ in Power Grid, JCP, ER-I” and send this to the address "Advertiser (JCP, ER1), Power Grid Corporation of India Limited, Post Box No. 9248, Krishna Nagar Head Post Office, Delhi-110051" on or before the last date. As everybody knows the Staff Selection Commission of India is premier organisation which is involved in the process of recruiting employees for the central government departments. There are many positions in many departments are not filled yet. This makes huge number of vacancies for new aspirants to get a job in central government that improves their social status. One of the major recruitment processes that carried out by SSC every year is Combined Graduate Level Examination. This is a great opportunity for candidates who else completed any bachelors degree and preparing for central government competitive exams. As per notification the vacant positions in various departments is around 35 thousand. Make use of this opportunity is the right way for job seekers to lead a successful career. The detailed vacancies in each department are mentioned in the link below, which makes a clear idea about category wise and state wise vacancies in all departments. 35000 Vacancy Details. Since Any Bachelors Degree from a recognized institution is eligible for all vacancies except Grade 2 Statistical Investigator and Compiler post. These posts require a Bachelors Degree in the discipline of Economics or Statistics or in Maths. For the vacancy Grade 2 Statistical Investigator the candidate may not exceed 26 years of age and for Assistant Sub Inspector Vacancy in CBI the age limit lies between 20 to 27 years. For all remaining posts, the candidates with minimum 18 years and a maximum of 27 years are eligible to apply. The selection process consists of written test followed by skill test and personal interview. The written exam will be conducted on two phases, namely Tire-I and Tire-II. If you completed the two written exams successfully with distinctive marks your chance to get this job is high. On considering the overall performance the final selection takes place. Applications can be made by means of two modes. For offline application the candidates have to fill the application form and enclose it in an envelope along with necessary certificates including the fee payment "Central Recruitment Fee Stamps" of Rs.100/- and send this to the concerned regional or sub-regional offices which are near by the location your are applying for. Log on to the SSC registration website www.ssconline.nic.in and select Part I Registration from the menu Examination. Fill all necessary details in the application form and enter submit to complete the process. After successful registration of part I you will be provided with registration ID. Using this ID pay the exam fee of Rs.100/- in any nearby SBI branch or using SBI net-banking service. Then log on to the above said website and select Part II Registration. Enter the fee payment Challan or reference number and upload your scanned copies of photograph and signature in the appropriate location. Once all this process over you will receive a conformation email with the application copy for future reference. Note: Reserved category candidates are not necessary to pay exam fees. Damodar Valley Corporation is a power generation company of India, that involved in power generation and distribution activities, which ensures the growth of Valley regions in the states of West Bengal and Jharkhand. It is one of the largest public sector power generation companies with the installed production capacity of 4857 Mega Watts. DVC also working towards the installation of new thermal power plant projects with the production capacity of ten thousand Mega Watts; this tends DVC to recruit new employees. Since DVC is one of the largest energy based company, it offers great opportunities for new aspirants as well as experience professionals. Online applications are invited from aspirants with engineering background to engage them in the upcoming projects as a Senior Divisional Engineer in DVC. Job seekers who fulfill the eligibility criteria can apply in the prescribed format as mentioned in the notification. Aspirants who possess a Bachelor Degree in Engineering (B.E or B.Tech), from a relevant discipline which suits the above mentioned vacancies are eligible. The qualification must be obtained from an AICTE approved institution or university with first class marks. The upper age limit for Executive Engineer position at DVC, the applicant must not be more than 35 years of age. For other positions the maximum age limit is 40 years. All age will be considered as on 1st Jan 2013. Applications will be scrutinized according the qualifications and previous experience in the field. Shortlisted candidates will be invited for personal interview and based on the performance in the personal interview the final selection takes place. Selected candidates will be placed as Engineer in the pay scale 3 of Rs.15600-39100/- per month. However, the M3 position will get a grade pay of Rs.6600/- and the M4 position will get a GP of Rs.7600/- along with the basic pay. Applications should be done by means of Online only; Other format of applications will not be entertained. Log on to DVC website www.dvc.gov.in and select the careers link. Select the post which you have to apply for and follow the link "Click Here for Online Application". In the next page upload your photograph and submit the application. Once all process is over take the printout of system generated application form and produce it while you appearing for personal interview. Medical jobs are not only depended on doctors and nurses, along with them Para Medical and its allied department helps more in serving any hospitals. Employees state Insurance Corporation of India is an organisation which has a large network of hospitals to serve the employees of state and central government departments. ESIC Chennai is a center which is administrated within the state of Tamil Nadu that includes four sub regions. The state capital's ESIC hospital situated at Ashok Pillar Road, K K Nagar, issued a vacancy notification to engage Para Medical staffs in various disciplines. Aspirants who are deserving as per the eligibility criteria and interested in these para medical jobs in ESIC can apply in format advised in the notification. Diploma in MLT from a AICTE recognized institution is must for Laboratory Assistant job in ESIC Chennai and others should possess prior post qualification experience of one and two years in their field respectively. Higher Secondary (10+2) or equivalent is essential for all posts. Candidates not exceeding 27 years of age is eligible to apply. Employees working in any government department can apply up to 37 years of age. Upper age limit is relaxable by 3 years for OBC and 5 years for SC/ST candidates. Applications are shortlisted and deserving candidates will be invited for written test. On considering the marks scored in written test, meritorious candidates further undergo personal interview. All vacancies lie under the pay scale of Rs.5200-20200/- per month. But the grade pay for Laboratory Assistant is Rs.2400/- and for others Rs.1800/- pm. Other allowances and benefits will be given as per department rules. Applicants are advised to download the fee payment Challan from the ESIC official website. Make a payment of Rs.125/- in any nearby Indian Bank branch only and keep the receipt of the Challan. Only general category candidates are advised to pay fee and other form of fee payment will not be encouraged. Log on to www.esichennai.org and follow the online registration link. Fill all required details including fee payment receipt number, once all details are entered; upload the scanned copies of color photo, signature and thumb impression. After verifying all details submit the application and download the printable copy. Enclose this printed application copy in an envelope and super scribe over it as "APPLICATION FOR THE POST OF _________________, POST CODE NO __________________, STATE TAMILNADU“ then send this to the address "The Medical Superintendent, ESIC Model Hospital, Ashok Pillar Road, K.K.Nagar, Chennai-78" before the closing date of application. Metropolitan Transport Corporation is a public transport bus service in Chennai which established in the year 1972. MTCL has undertaken the project Monorail Mass Rapid Transit System which is established by government of Tamil Nadu. It is a huge project which requires large number of man power to look over the administrative and field works. This intends MTCL to recruit deserving candidates for engaging them into the appropriate position which satisfy the job requirement. Candidates who are eligible and interested in this vacancy can apply for this job in a prescribed format. Post Name Assistant, Accountant, Typist, Security, etc. For security and office assistant job 10th standard pass or fail is eligible. Degree in B.Com is essential for accountant job. Any degree with type writing and computer knowledge is essential for all other posts. The upper age limit for Superintendent and Steno Typist is 35 years. For all other vacancies including office assistant and accountant vacancy the maximum age to apply is 30 years. Relaxation in age is applicable to deserving candidates of a particular category. Applications will be shortlisted according to the qualification and experience. Shortlisted applicants will be further invited for Personal interview. Appointment of the candidates is purely on contract basics. During the contract period of one year employees will get a consolidated salary as stated in the above table. Download the application form from the official notification mentioned below and fill it with necessary details. Attach all the required documents and send this to the address "The Project Director, Monorail Project, Metropolitan Transport Corporation (Chennai) Limited, Corporate Office: Pallavan House, Pallavan Salai, Chennai 600 002, Tamil Nadu, India" before the last date of submission of application. As a job seeker everyone will eager to grab their position in any of the reputed company which provide high salary and job satisfaction. 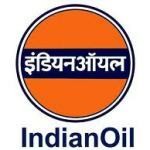 Indian Oil Corporation Limited is such a kind of company which is undertaken by government of India and listed in the prestigious 'Global 100' listing. It involved in the operations of refining and exploration of oil and natural gases. It is well established company that has around 600 units involved in operations all over the world and capable to provide job in most of the countries. It released recruitment notification to engage energetic youths in the position of Junior Engineering Assistants at IOCL mathura refinery. Interested job seekers can apply in format as mentioned below. All discipline except fire and safety the applicant must be completed 3 years Diploma or B.Sc degree in relevant course for which you are applying. For fire and safety vacancy the candidate must possess HSC or equivalent with certified course in fire and safety from a recognized institution. Applicants must be between the age limits of 18 to 26 years as on 1st January 2013 to get a job as a engineering assistant in IOCL. However, relaxation in age is conceded for a candidate who belongs to reserved category. Selection process will comprise two steps, at first applicants will undergo written test eligible candidates will be shortlisted and further they will be admitted for personal interview. Written test will be conducted at Mathura and the certificate verification will takes place before personal interview. All the above mentioned posts comes under the pay scale of Rs.11900-32000/- per month along with DA and HRA. Moreover, the employees will be benefited by other allowances like PF, gratuity, medical allowance and many more. A crossed Demand Draft of Rs.100/- has to be paid as application fee which should be drawn in favour of "Indian Oil Corporation Ltd, Mathura Refinery payable at Mathura". Other form of fee payment will not be encouraged. Interested applicants are advised to type the application on an A4 size paper, enclose all the details and make a signature with date as prescribed in the notification. The duly filled application should be accompanied with photocopies of all necessary certificates, documents and demand draft. Enclose all documents, including application in an envelope and send it by ordinary post to the address "Post Bag No. 007, Sriniwaspuri Post Office, Sriniwaspuri, New Delhi-110065" before the closing date of application. 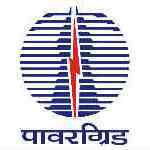 Power Grid Corporation of India Limited is a well established public sector company owned by government of India. The business operations of PGCIL are to make grid network to transmit electricity in all parts of the country. Engineering graduates with good academic background and waiting for explore your knowledge; this is the right offer to get a job in well established public sector company. PGCIL issued a job offer that consists of 3 vacant positions in the designation of engineers and supervisors. Interested aspirants who are willing to apply for this vacancy are advised to go through the notification and apply in a prescribed manner. Job Location In any of the PGCIL Project Location. Engineering degree (B.E/B.Tech or AMIE) in Electronics and Communication Engineering with 55 percent and above is qualified for Field Engineer job in PGCIL. Diploma in the same stream with reputable marks from a recognized university or institution is eligible of the post of supervisor. For both vacancies the applicant must possess a minimum of One year post qualification experience in the field of optical fibre network commissioning from a reputed organisation is mandatory for getting this job. The upper age limit of 29 years as on 15th January 2013 is the maximum limit mentioned by the power grid corporation for both positions. Based on the academic profile and post qualification experience the applicant will be invited for interview. Personal Interview is the only form of interview takes place in selection process. The candidates engaged for this job is purely on the basics of contract for the period of two years. In the first year the Engineer will get Rs.30000/- and Rs.23000/- for supervisor. For the second year you will get an increment of Rs.3000/- and Rs.2500/- for each post respectively. A non refundable application fee of Rs.200/- for FE post and Rs.100/- for FS post has to be paid by the applicant in the form of Demand Draft that has to be drawn from any of the SBI branch, in favour of “POWER GRID CORPORATION OF INDIA LTD.” Payable at Patna. Physically Handicapped, Ex-Servicemen and SC/ST candidates are not necessary to pay application fees. Fill the application form with required details, attach photocopies of all certificates and enclose all this in a envelope along with the DD and send this to the address "The Advertiser (PG-ER1), Post Box No.- 9248, Krishna Nagar Head Post Office, Delhi – 110051" on or before the last date. Don't forget to super scribe over the envelope as “Application for Post of __________ in POWERGRID, ER-I” before posting it. The capital of India is the largest metropolitan city of the country which is the center for political and economic activities. 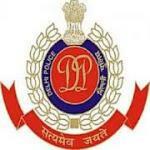 Delhi police department is considered to be the advanced administrated organisation and belongs to one of the largest metropolitan police department of the world. This department is headed by Police Commissioner, who administrated the organisation and eighty thousand police personnel. There is a shortage of constable in Delhi police, as a reason the department released a recruitment notification to fill the vacant positions in constable cadre. Indian citizens who are eligible and seeking to get a job in police department this is the right time to get into this job. Individuals from all parts of the country are eligible to apply. Person who passed the higher secondary class (12th) from a recognized board and falls under the below mentioned age group are advised to apply for this Constable vacancy in police. Unreserved category candidates who attained minimum 18 years and a maximum of 21 years as on 1st January 2013 is eligible to apply. Age relaxation is applicable to OBC, SC/ST and Ex-Servicemen candidates as government rules. A height of 170 cms and a chest of 81 to 85 cms are the physical standards mentioned for general and OBC category candidates. Applicants belongs to hill region and the sons of serving or retired police personnel are conceded 5 cms of measurement relaxation in both height and chest measures. At first all applications will be scrutinized and eligible applications will be shortlisted for interview. In the interview process, first the physical standards will be measured and permitted for physical efficiency test. Once you passed in the physical test, you have to written test; based on the performance in written and physical test you will be selected. Selected candidates will be employed as a Constable in Delhi Police with the pay scale of Rs.5200-20200/- per month along with the allowances and a grade pay of Rs.2000/- pm. A Demand Draft or a Cheque of Rs.100/- has to be paid in favor of "DCP/Recruitment Cell, New Police Lines, Delhi" as a application fee which should be valid for three months. Ex-servicemen and SC/ST candidates are exempted from paying application fee. Candidates can obtain application form online mode or by offline. To get offline applications refer the employment newspaper for the sample and type an application according to that format or simply log on to the official website and download the printable copy. After getting the application form fill it with required details, attach the photocopies of all certificates which should be attested by gazetted officer. Send all this documents to the address "Post Box No-8020, New Delhi - 110033" on or before the last date.